At Alexander Marchant we help people with two of the most important rooms in their homes, the kitchen and the bath. Being a part of the Austin Monthly September issue alongside other industry leaders is an honor. We are looking forward to sharing our expertise, enthusiasm, and love for our work with the opening of our North Showroom in Winter 2019. ​In 1997, Susan Alexander and Laurie Marchant opened the doors of Antiquity Workshop, a furniture restoration and repair shop and the seed of what was to become Alexander Marchant. Fast forward 20 years and Alexander Marchant has become the preeminent leader in bespoke architectural hardware, plumbing, lighting and bath. What sets Alexander Marchant apart is its relationships with smaller, niche brands less represented in the marketplace. 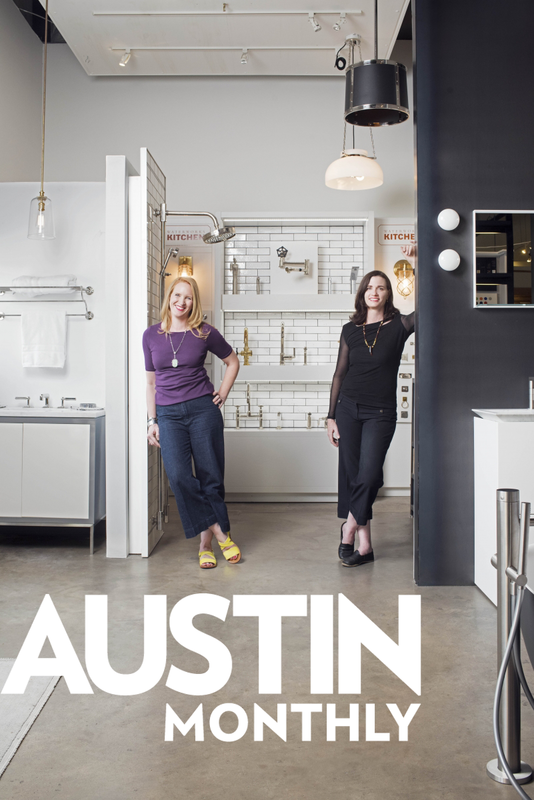 Introducing these unique brands to Austin and beyond quickly made Alexander Marchant a favorite resource and created a loyal following of top interior designers, architects, custom homebuilders, tastemakers and design-centric shoppers. The showroom has long been nestled behind the scenes in the heart of West Austin just off the beaten path at Fifth and Baylor—a terrific location amid the growing neighborhoods and booming downtown district. Susan and Laurie also recognized the growth opportunities south in San Antonio and opened a second location in the quiet Olmos Park shopping district three years ago. The showroom sets a gentile pace for lingering shoppers while developing its own base for those in the design and build industry. With an ever-growing demand for unique products, Alexander Marchant is solidifying its reputation in the design industry with a third showroom opening in late fall 2018 in the Brentwood neighborhood of Austin. Whether you’re looking for the natural materials aesthetic or a nod to traditional or modern vibe, Alexander Marchant is adept at meeting any design need with expert project managers guiding the way.